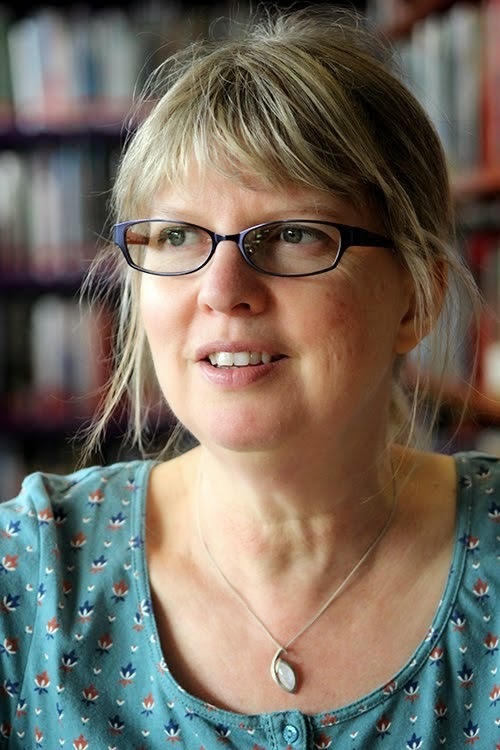 I decided to try and think of the Christmases that leap into my mind when I think of the children’s books and poems I grew up with or shared with my children. These are the ones I thought of first – there are loads of others too. LITTLE WOMEN by Louisa May Alcott, opens with Jo’s famous line: ‘Christmas won’t be Christmas without any presents.’ Of course, that first chapter then goes on to show how little the actual presents matter after all. 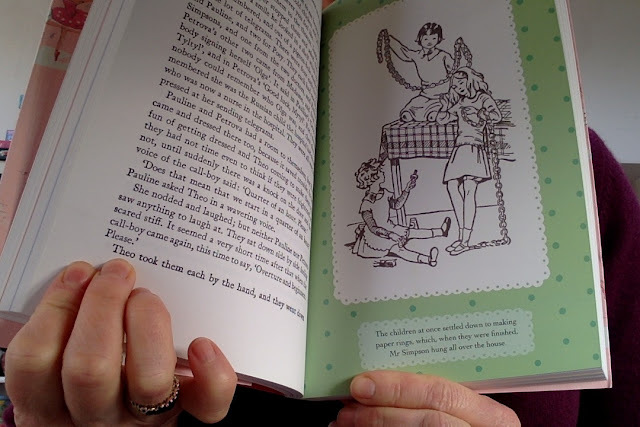 I got this book on my seventh birthday, and right away I wanted to know these four sisters. My sister had a beautifully illustrated book of A CHRISTMAS CAROL by that king of Christmas, Charles Dickens. One year Dad read it to us on Christmas Eve. I was enchanted by this tale of a man in the dark turning to the light. I’ve loved every film version I’ve seen since, especially the Muppets’ Christmas Carol, which is so faithful to the original (apart from the characters not all being human!). Although the final scene always moves me, the one that stayed with me most is the image of little Scrooge alone in his boarding school at Christmas, with only the characters from stories for company. And when jaded old Scrooge sees this, it’s the friendship he felt for these characters that awakens his capacity to love. BALLET SHOES by Noel Streatfield, illustrated by Ruth Gervais, is another childhood favourite of mine. I never did ballet, but I loved this story of three girls who have no birth families, but find their own family with each other and a motley collection of supportive adults. Always struggling to find enough money, their Christmas is magical because of the simple things that don’t cost anything. 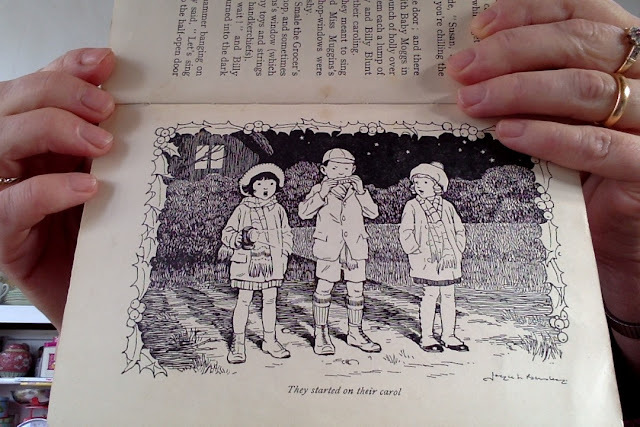 That brings me to MILLY-MOLLY-MANDY, written and illustrated by Joyce Lankester Brisley in the 1930s. These were the most comforting bedtime stories when I was little. Not much happens but you are in this calm and friendly village life with Milly-Molly-Mandy and her friends. The WILLIAM books by Richmal Crompton were some of my favourite books when I was in the last year of primary school. It’s nice to know that my dad read these same books when he was a child. I still find them funny now because the stories are so completely from William’s point of view and the writer is so strongly on his side. Christmas features in many of the stories, but I especially like the scene from MORE WILLIAM, in which William buys all his relatives presents he would like himself, knowing that it’s only a matter of time before he can quietly get them back. The HARRY POTTER books are ones which we shared with our children. Christmas runs through them all, but for me the most moving one is in HARRY POTTER AND THE PHILOSOPHER’S STONE, when Harry has the first happy Christmas he can remember. 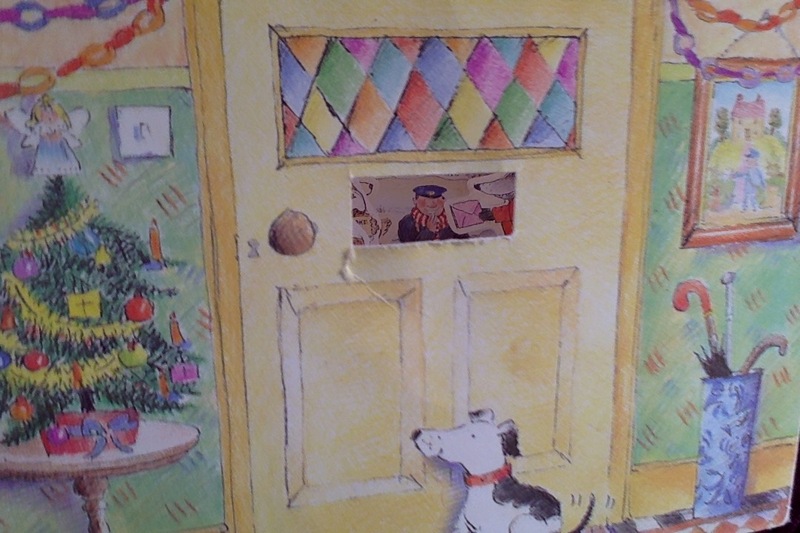 Like many other Christmas scenes, it features a gift which is more than it appears – his father's invisibility cloak. This helps him in almost all his tasks, but most importantly of all it hides Harry as he walks to face Voldemort, meaning that he can make this most difficult journey alongside those he has loved and lost. It's not Harry's only gift, though. While Ron receives his mother's home-knitted jumper with resigned disdain, to Harry it represents a kind of coming home. 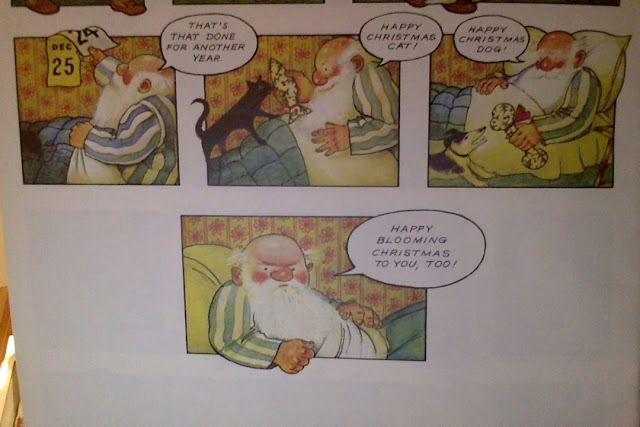 FATHER CHRISTMAS, written and illustrated by Raymond Briggs is another favourite. His version of Santa is a slightly grumpy, overworked but kind man. He gets up on Christmas Eve and feeds the cat, dog and deer, still in his dressing gown, in the snow. I love all the detailed illustrations of his outside loo, butler sink and wooden draining board. His is not a glamorous life and he lives very simply, but still he travels the world in horrible weather of every kind to deliver his presents to everyone. One spread shows rain, sleet, hail, ice – and poor Father Christmas hunched up in his sleigh. But at the end, he and the deer, the dog and the cat are all tucked up in the warm. 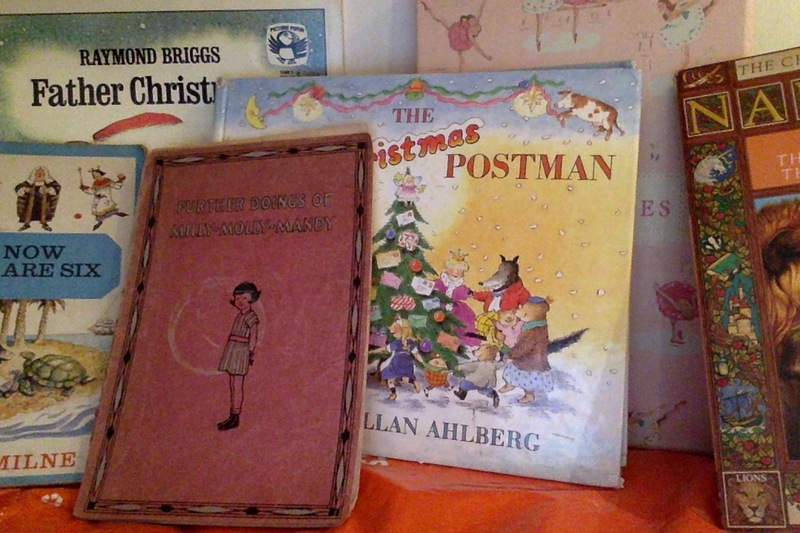 Our children loved all the JOLLY POSTMAN books by Janet and Allan Ahlberg, especially THE JOLLY CHRISTMAS POSTMAN. He delivers presents and cards to all the old favourites – the big bad wolf, Humpty Dumpty, the gingerbread boy and the rest – and finally is given a gift himself (a paper peep show) as well as a ride home in Santa’s sleigh. 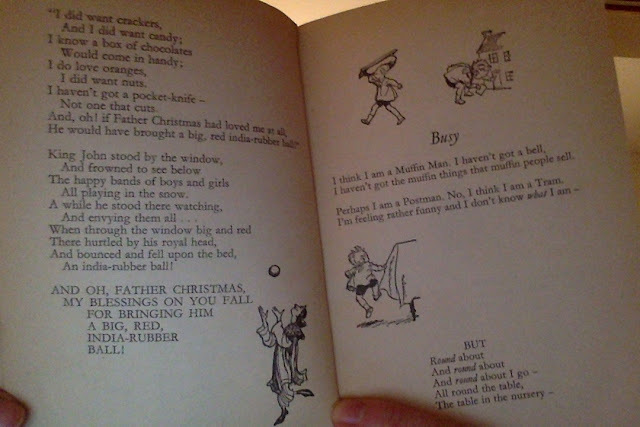 I used to enjoy reading this story to my children on Christmas Eve. I started this post with the presents from LITTLE WOMEN so it seems fitting to finish with the presents from Narnia. 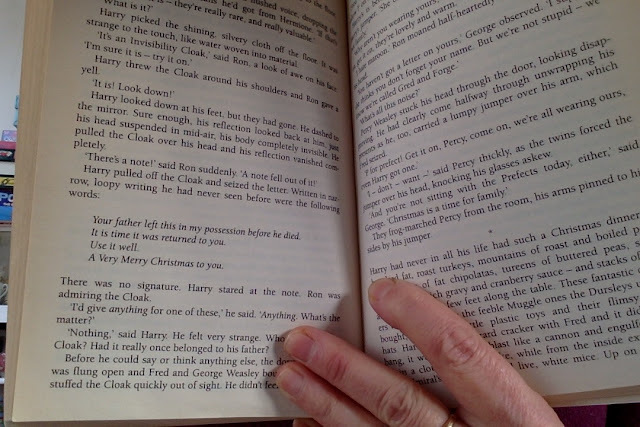 The first ‘chapter book’ I read on my own was THE LION, THE WITCH AND THE WARDROBE by C. S. Lewis. Father Christmas, coming from our world, doesn’t quite fit in Narnia. But all the same, he turns up with his sleigh and reindeer to tell the children and the beavers that the witch’s eternal winter with no Christmas is breaking, and to give them each a gift. These really are special gifts – so special that they feature in the following stories, giving the children the power to fight evil and heal the harm it causes. Absolutely my favourites too Jeannie. I have to add The Christmas Mystery by Jostein Gaarder. The characters and Angels of the Christmas story journey to Bethlehem to take part in the first Christmas . Beautifully illustrated and truly magical. Thanks, Maggie! I haven't read The Christmas Mystery - I'll try and find it now.